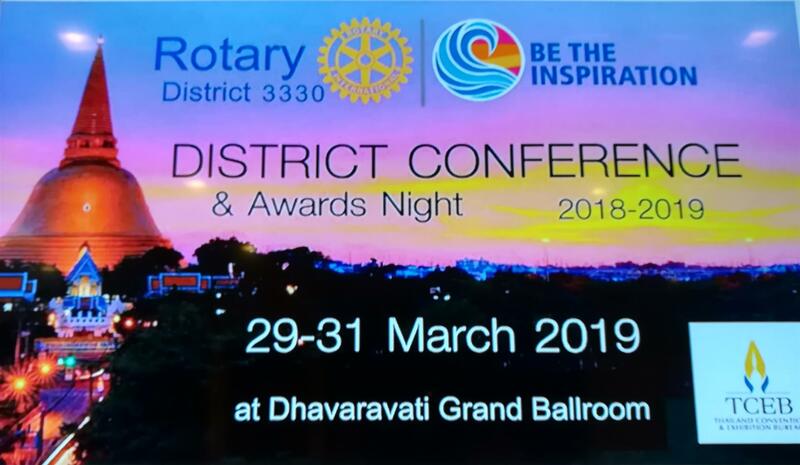 Nine members of the Rotary Club of Royal Hua Hin, CP Alan Cooper, Sec Phil Lawrence, Exec Sec Martin Harrison, PN Peter Iversen, Rtn Gitte Iversen, Rtn Rick Rees, IPP Birger Rexed and Rtn Udai Rai with President Brian Anderson attended the annual D3330 District Conference, held in the Mida Dhavaradi Grande Hotel in Nakhon Pathom over the weekend of 29th-31st March 2019. 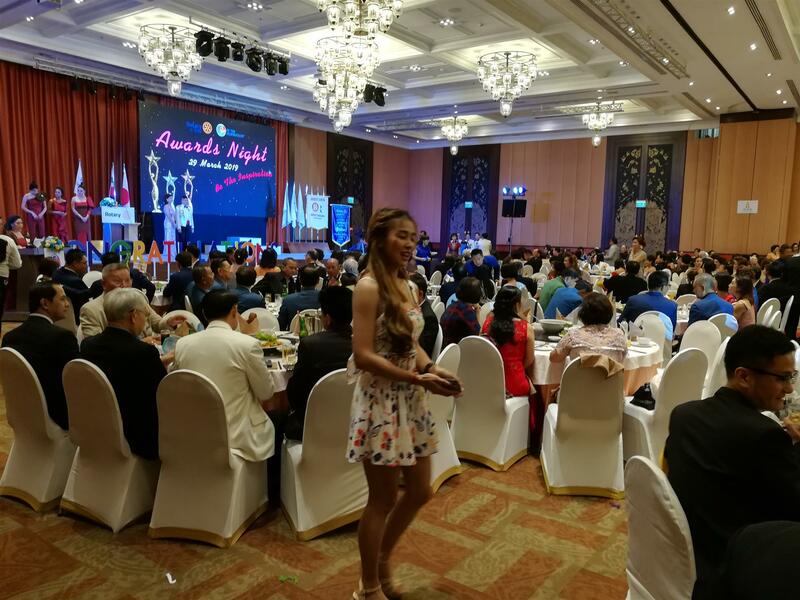 Following registration on the Friday evening, over 500 attendees from District 3330 as well as other areas of the world attended the Awards Night ceremony which was opened with the host, D3330 District Governor Lt General Kanit Jamjuntra, being marched in by a troop of very smart buglers and to one of John Philip Souza’s famous marches. 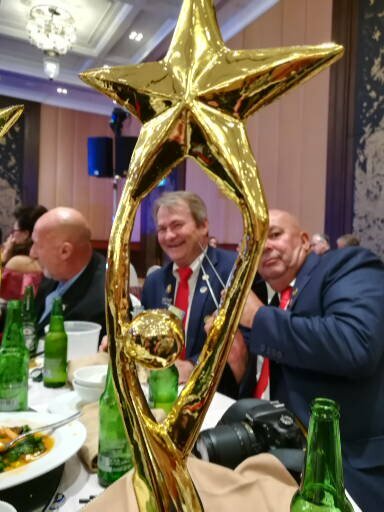 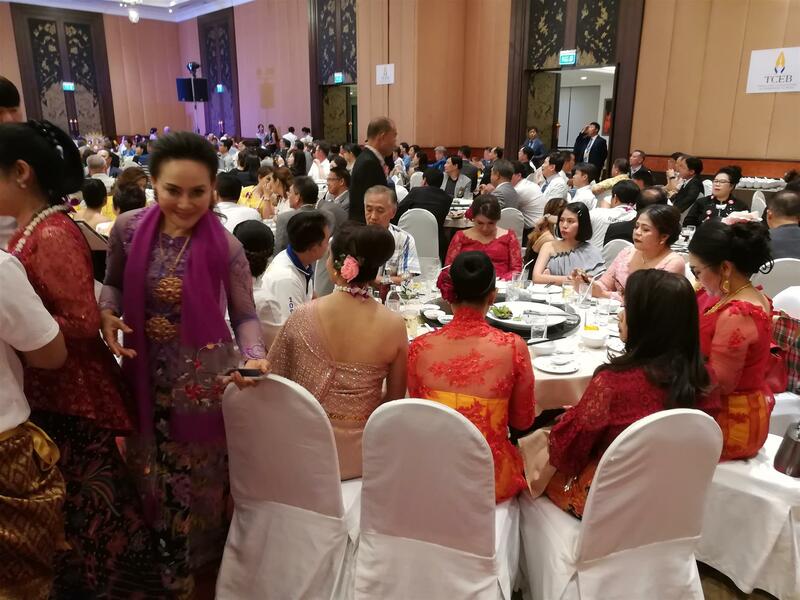 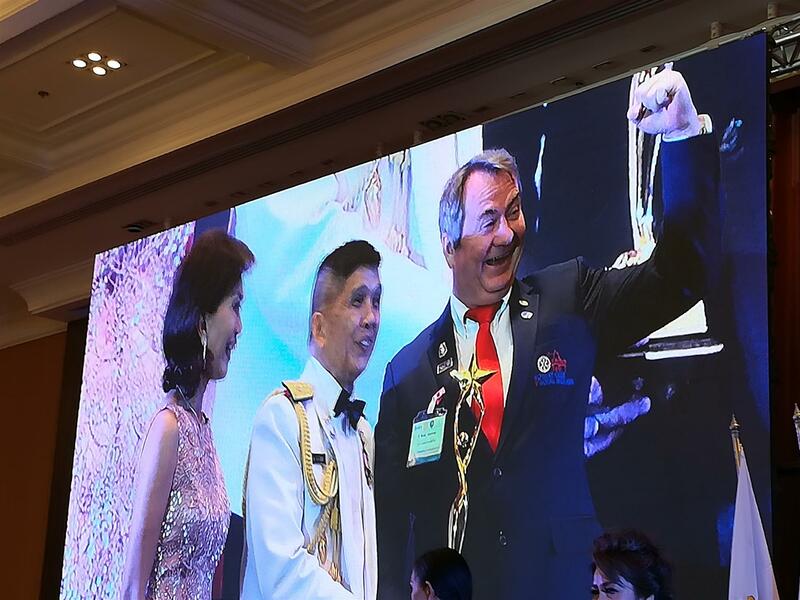 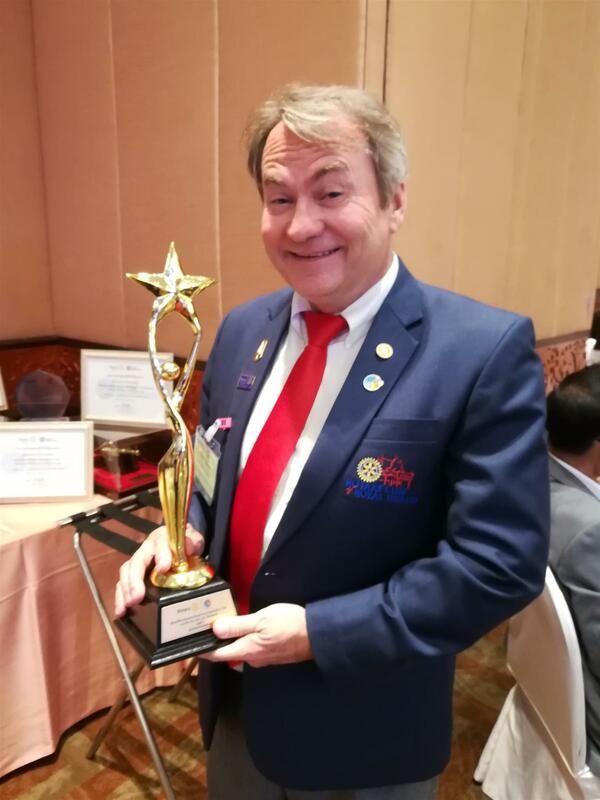 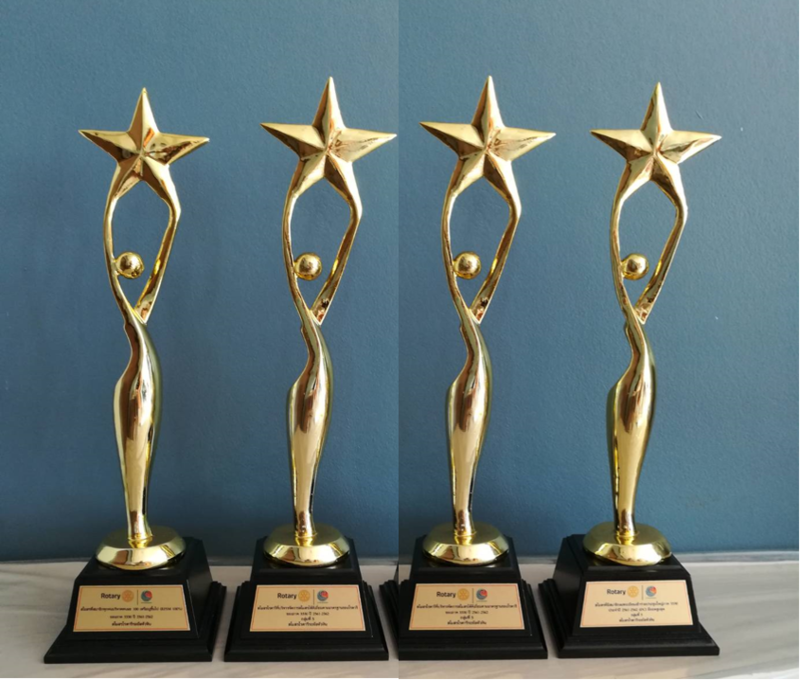 During the Chinese style dinner party, DG Lt Gen Kanit presented numerous trophies and awards to the many clubs present, with RC Royal Hua Hin receiving a total of five awards including four trophies for Club Management Excellence, 100% participation in EREY (Every Rotarian Every Year), Sustaining Member Contributions to the RI Foundation of USD 100 or more, High Number of Club Members Attending District Conference, and a special plaque for Majority of Members Registered In My Rotary. 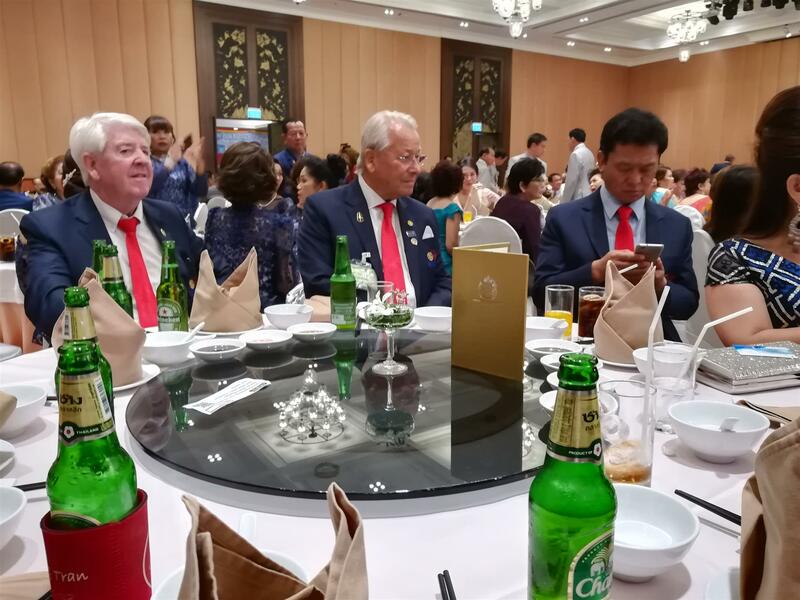 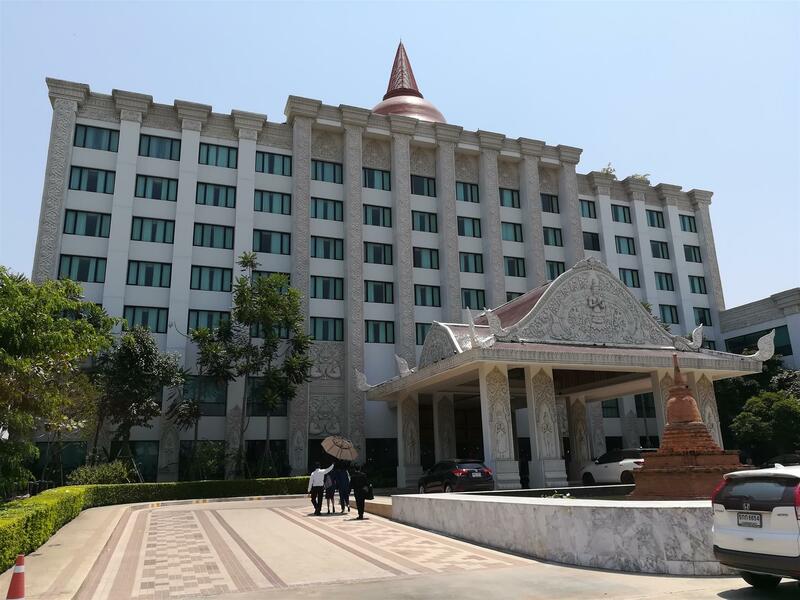 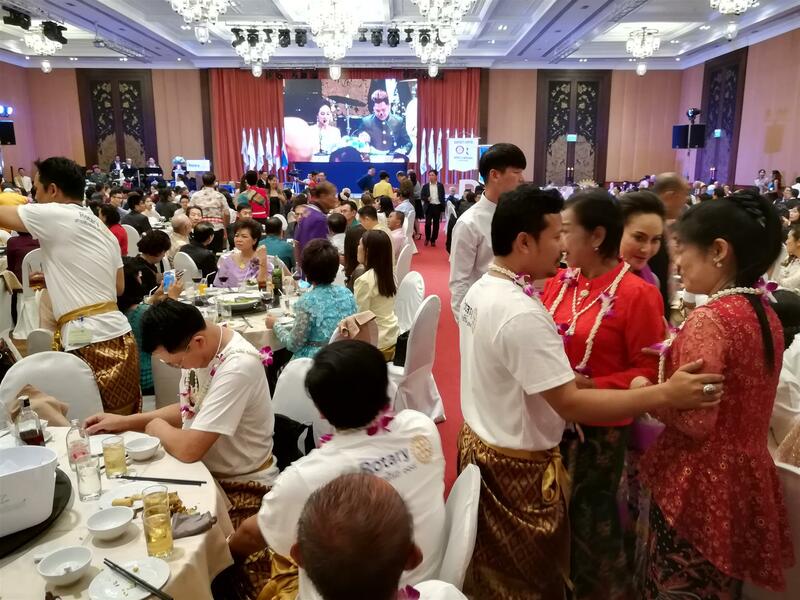 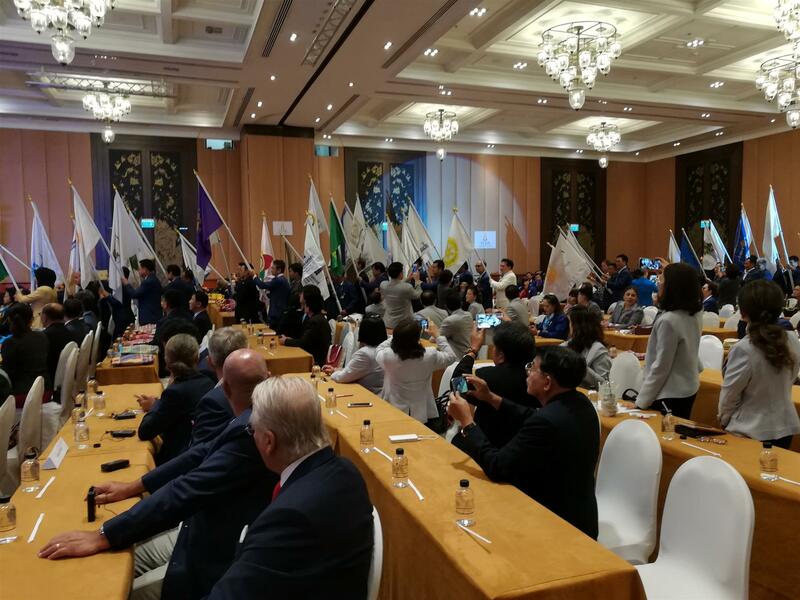 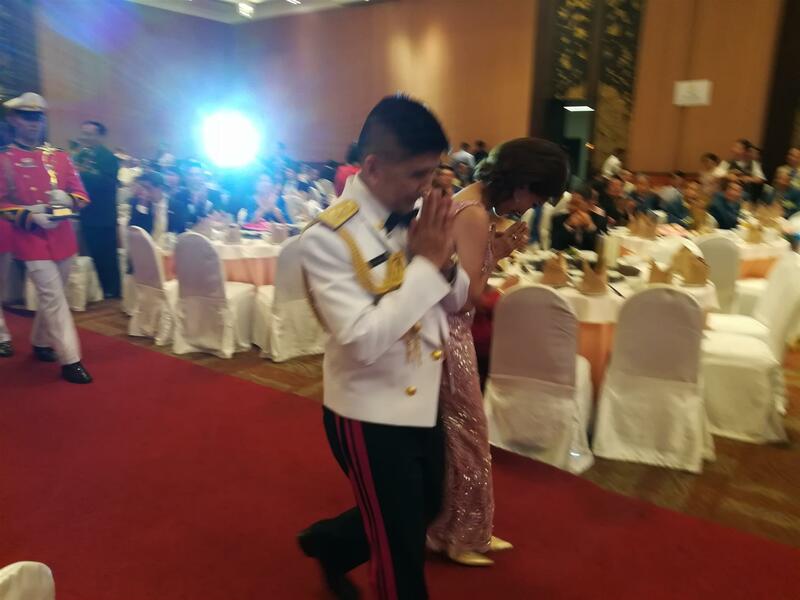 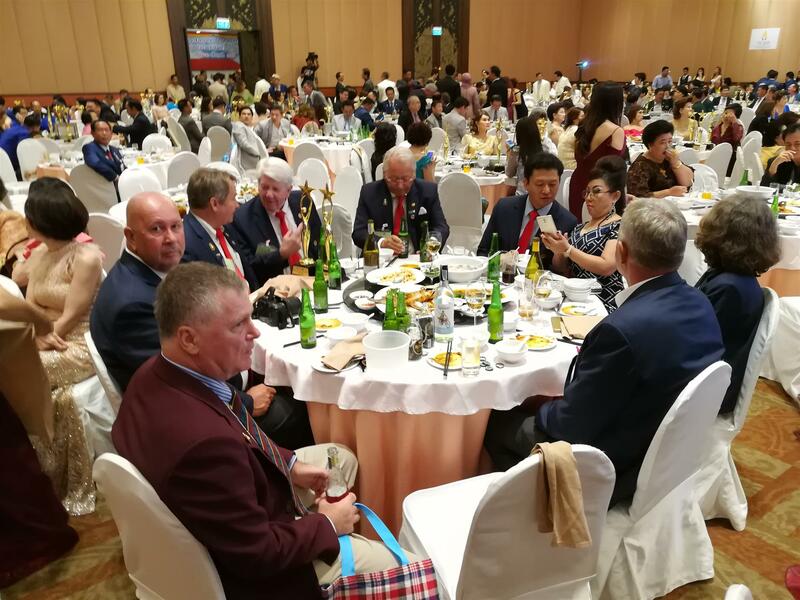 Saturday saw Day 1 of the conference again hosted by the DG, opening with the Thai, Japanese and Korean National Anthems and a Presidential parade of the flags of the 102 Rotary Clubs represented. 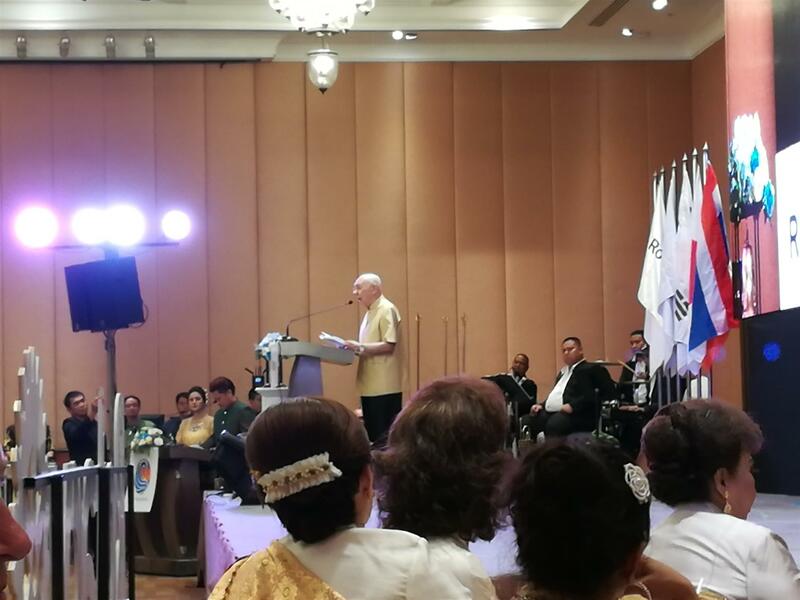 This was followed by keynote speeches from the Rotary International representative Frank Yih on behalf of RI President Barry Rassin, on Future Trends, District Designated Funds and report of the Youth Exchange which saw the students resplendent in their badged jackets on stage. 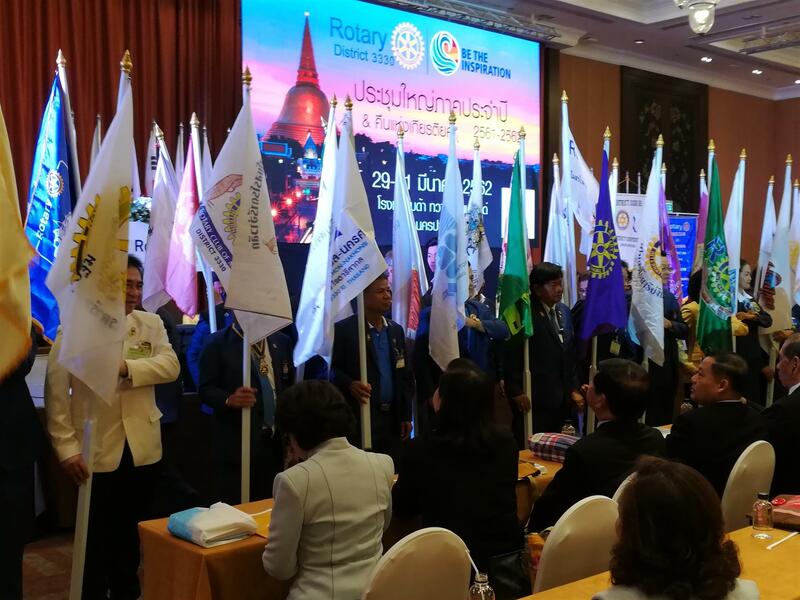 It was another interesting and enlightening Rotary weekend and good to see so many representatives from RC Royal Hua Hin present. 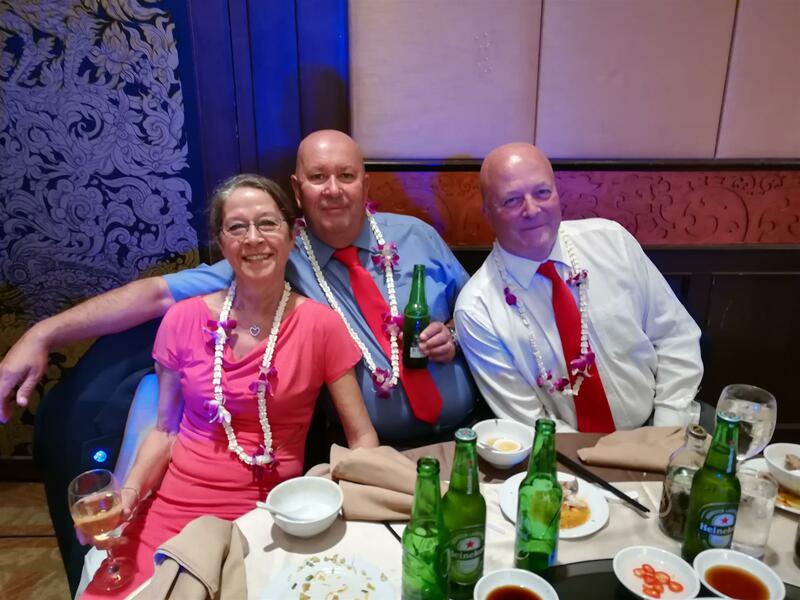 A selection of pictures are below, but CLICK HERE FOR MORE.